Egyptian security forces on Friday announced that they had detained 15 people on Friday over accusations they helped make rockets destined to be smuggled into the Hamas-run Gaza Strip via border tunnels. The sources said authorities had confiscated the outer shells of 60 rockets from a metal workshop in the Sinai town of Sheikh Zuwayed, near the closed Rafah border crossing with Gaza. 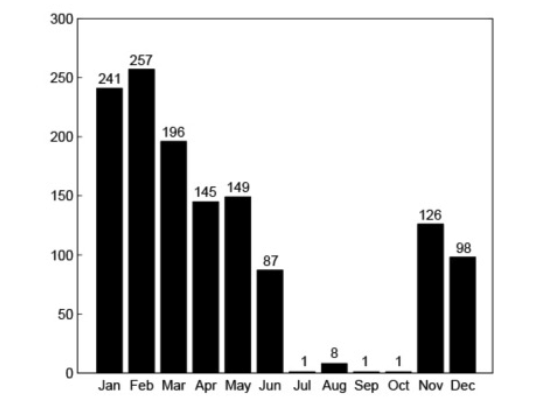 The authors of a study based on the data displayed in the graph above5 concluded that “the ceasefire was remarkably effective; after it began in June 2008, the rate of rocket and mortar fire from Gaza dropped to almost zero, and stayed there for almost four months.” The experience of the temporary ceasefire demonstrates both the willingness and the capacity of those exerting control in Gaza to eliminate rocket and mortar attacks. To download Richard Falk’s full report, click here. In response to continuing rocket attacks into southern Israel, Israel waged the bloodiest war against Gaza since the 1967 war for more than 20 days on December 27, 2008. More than 1200 people were killed and thousands more wounded. Large parts of the infrastructure were destroyed, official buildings, agricultural lands, civilian houses, hospitals and mosques, while the population of Gaza had no where to escape. The attacks were supposed to stop rocket fire into Israel and to destroy Hamas, but the heaviest loss was faced by the civilians. This report is designed to give a summary of basic facts of what happened during the war. 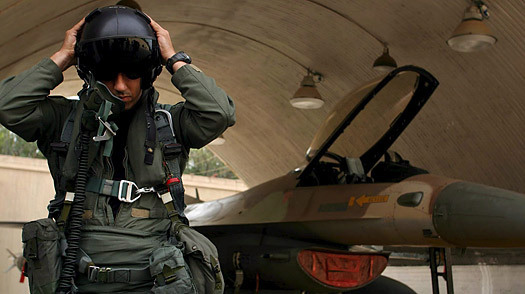 An Israeli jet fighter pilot readies his helmet in a hangar as he prepares to go on a sortie in his F-16 fighter. The bombing raid came after an intelligence tip-off. In early January, at the height of Israel’s assault on Gaza, Israel’s foreign intelligence agency Mossad was told by an informant that Iran was planning a major delivery of 120 tons of arms and explosives to Gaza, including anti-tank rockets and Fajir rockets with a 25 mile range and a 45 kg warhead. With little time to plan the operation, naval vessels and helicopters were rushed to the Red Sea in case Israel had to rescue a downed pilot, and the plan was rushed through. “The Israelis had less than a week to pull this all together,” a source said. Maj. Gen. (res.) Gil Regev said the fact that this was a moving target whose exact location was not known in advance affected the pilots’ training, since they could not rehearse a precise mission outline. “But today, we have the platforms, and the pilots routinely train for such long distances, as well as for aerial refueling,” he said. Over the last decade, the IAF has acquired one F-15I squadron and four F-16I squadrons. The latter, built especially for long-range strategic strikes, arrived only a few months ago. The winter assault on the Gaza Strip was officially portrayed in Israel as an attempt to quell rocket fire by militants of Hamas. But some soldiers say they also were lectured about a more ambitious aim: to banish non-Jews from the biblical land of Israel. 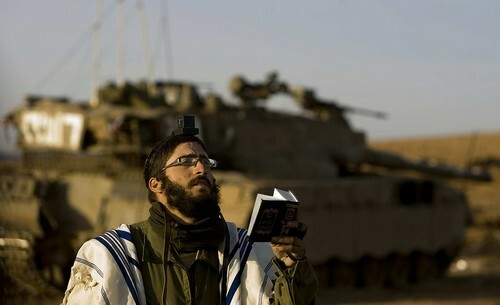 An Israeli soldier prays before entering the Gaza Strip in January.